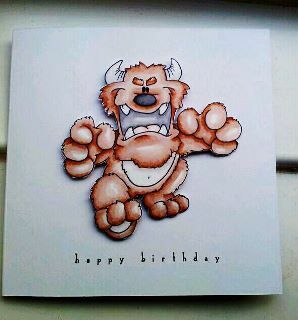 This card is for my hubby its his birthday today....Happy Birthday Mr Ellephantastic!!! 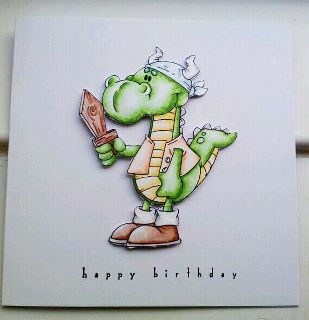 I used one of my first ever DP images & coloured him with pro markers on neenah card. 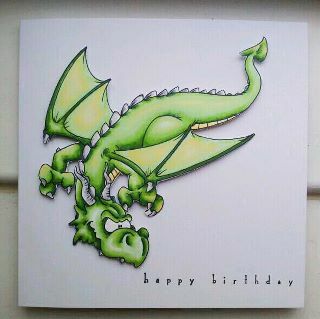 Then I cut him out, slightly embossed him & 3d foam padded him to my card. Using the principle I made these 2 cards for my brother & brother in law's birthdays tomorrow!! DP's pirate dragon. Simple but effective. Loving these new style of cards especially for men. These are fabulous, Helen. Your coloring is perfect.